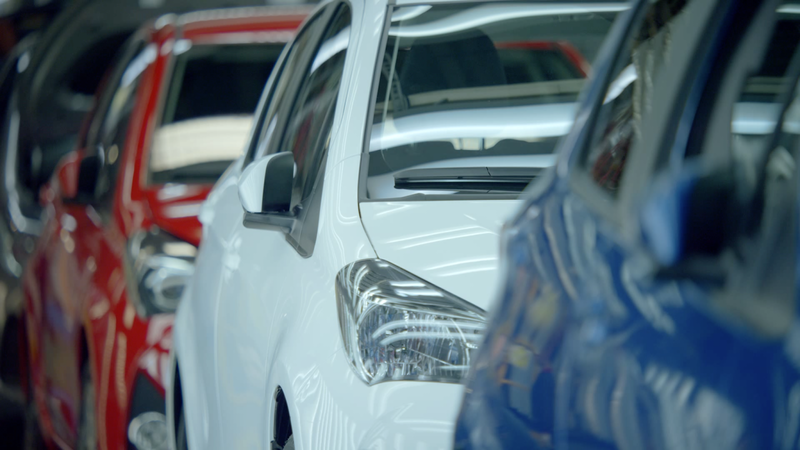 The new TV spot takes us backstage at the Toyota factory in Valenciennes, France and shows a production line in action. The natural sound of the machinery and employees at work slowly build throughout the film to build an unusual version of the French national anthem, The Marseillaise. Toyota France employees 4000 people with a daily production of 1000 vehicles and the factory in Valenciennes is a true pillar of the industrial community. To celebrate these French roots, Toyota has launched a special edition of the Yaris model; Toyota Yaris France. This new campaign launches the new model of Yaris. During the 3 days of the shoot, the production team had to blend into the background in order not to bother the employees and more importantly, never to interrupt the production line! There are no actors in the film and all the footage was captured during the manufacturing of the new Toyota Yaris France. “I have never seen so many people caress a car!” said the director, Wilfrid Brimo, amused by the numerous quality control steps operated through the production line. The campaign, ‘Made in France’ will roll out on TV, radio and digital from March 1st. There is also an opportunity to win a weekend in prestigious French chateaux by visiting the Toyota Facebook page. The visitor is invited to play a game attempting to reproduce the melody of the Marseillaise by clicking on a blue, white and red Yaris.